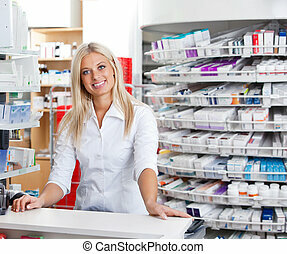 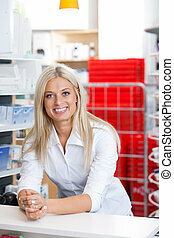 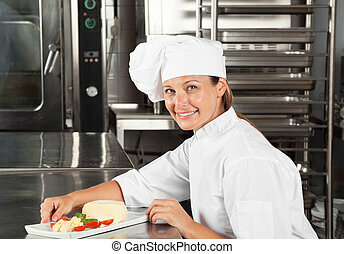 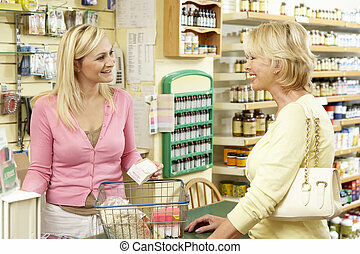 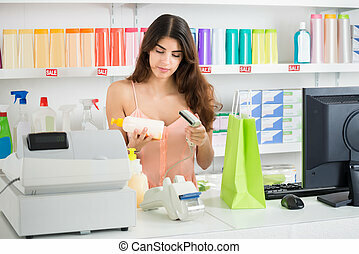 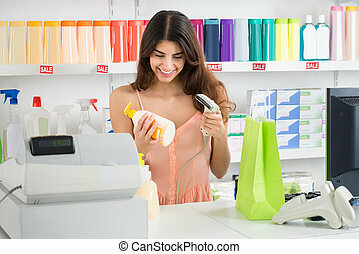 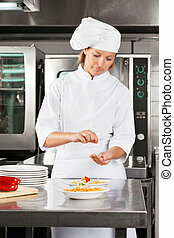 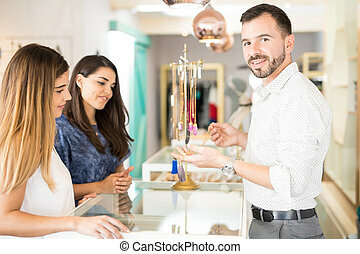 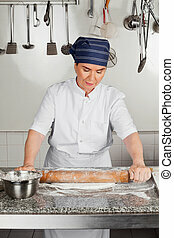 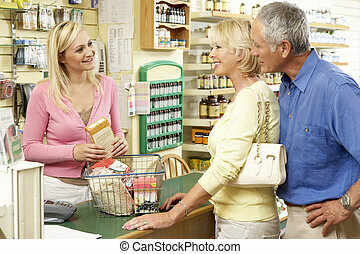 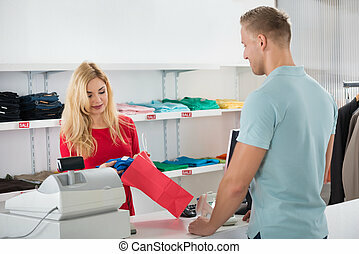 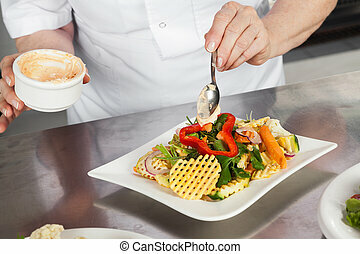 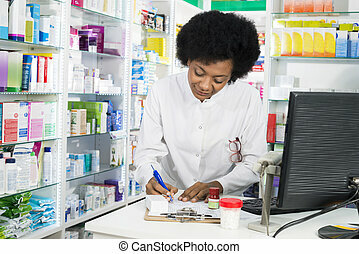 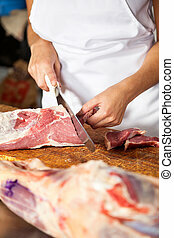 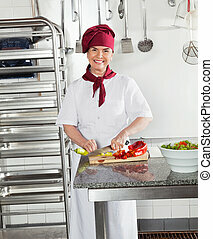 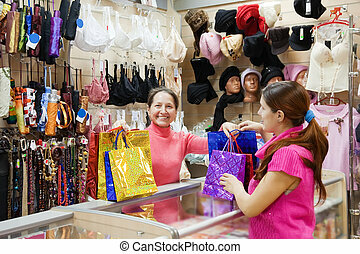 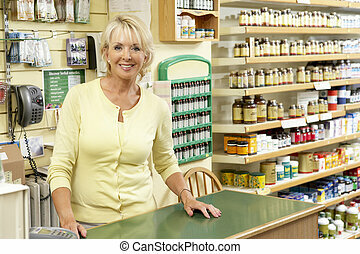 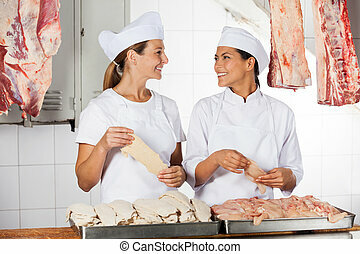 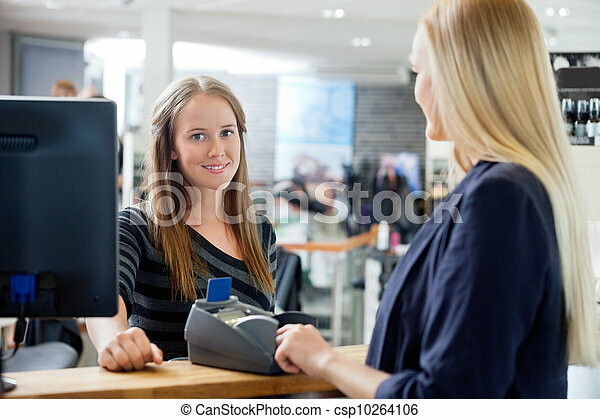 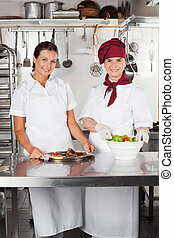 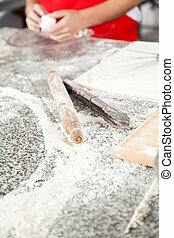 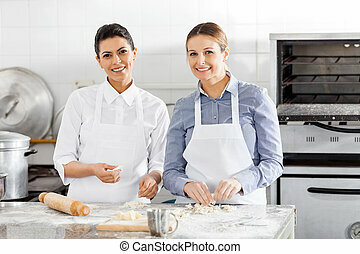 Female sales clerk at counter. 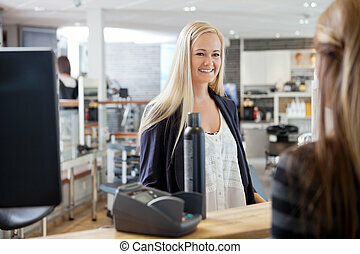 Portrait of young female sales clerk standing by counter with customer at parlor. 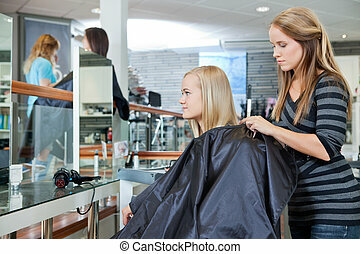 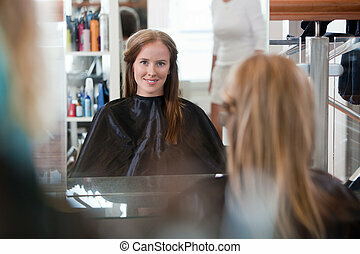 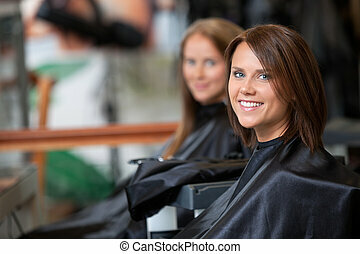 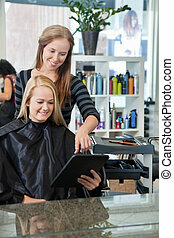 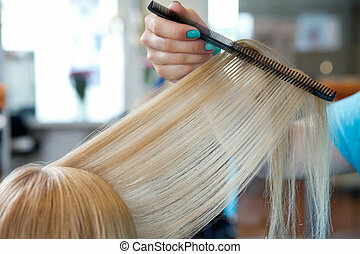 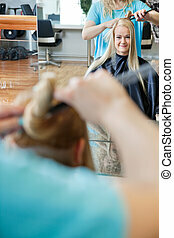 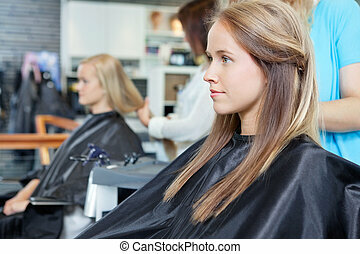 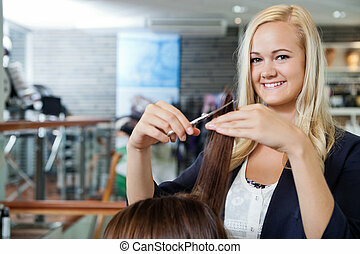 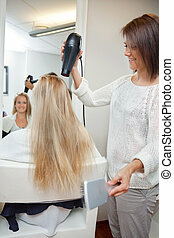 Women looking in mirror at beauty salon.